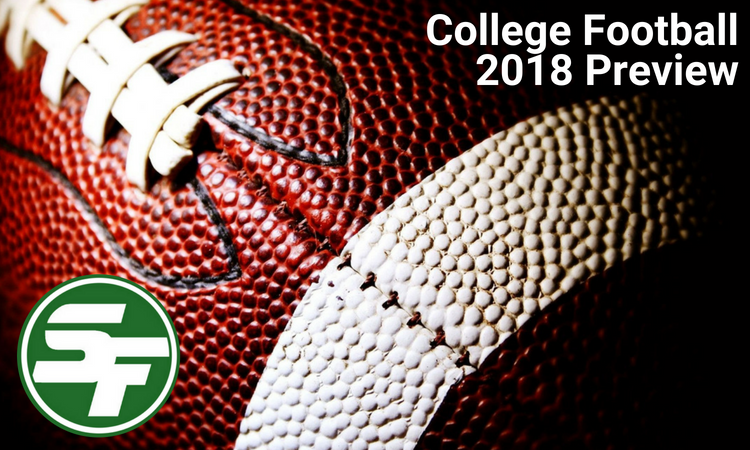 Welcome to the 2018 College Football Preview from SportsFormulator! It’s time to get ready for football! College Football kicks off the 2018 season on August 25. We’ll get you ready for the season with our 2018 college football preview. We have predictions for all season openers on the board. Check out the latest week 1 college football lines. We rank all 130 FBS teams and predict their records for 2018. See who wins each conference, goes bowling and makes it to the College Football Playoff. Who will be the suprise teams and who will disappoint this season? We’ve identified teams headed up this season and others that’ll take a step back. Access all this information below in our 2018 College Football Preview. Get ready for the upcoming college football season and see who the best players are, which teams are jockeying for a spot in the postseason and who’s going to surprise and disappoint in 2018. We predict every team, all 130, in FBS for 2018. Sign up now for our weekly Formulator Football Newsletter! Access winning college football information all season long.